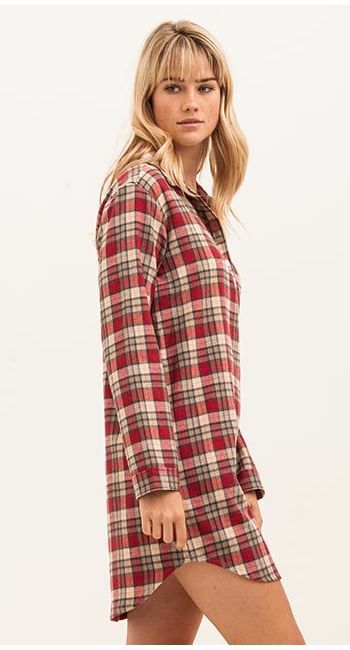 This pretty brushed cotton pink check is available in our shorter length nightshirt which sits mid-thigh on a woman of average height (model height 5'8", UK 8 - wearing size S). 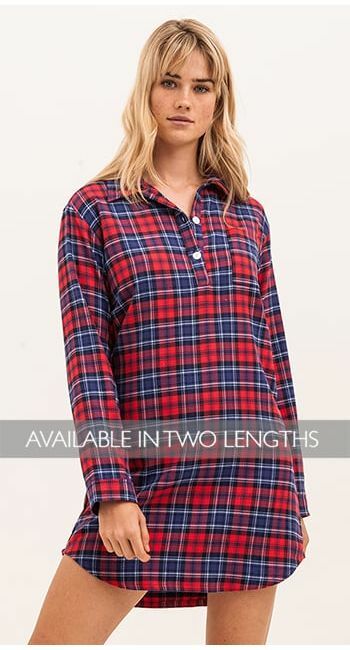 Please note that our nightshirts do come up slightly smaller than our pyjamas so we suggest going up a size. 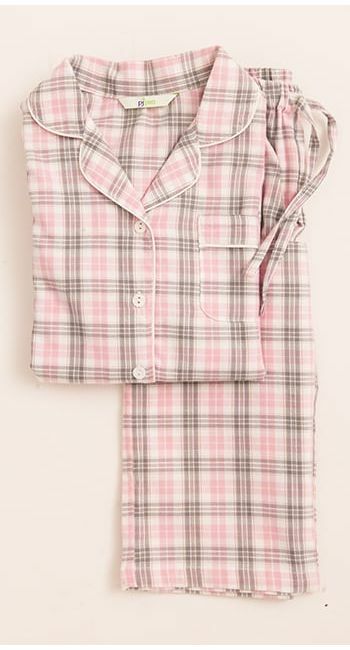 Other matching nightwear available including matching children's pyjamas .